Chelsea coach Maurizio Sarri has urged the club’s hierarchy to sign a replacement for Cesc Fabregas. The Spanish midfielder joined Monaco on a three-and-a-half year deak at the end of last week. Sarri, who had previously suggested that Fabregas would not be allowed to leave without a replacement being signed, pushed for the need for a new signing to be made in his post-match press conference after Saturday’s 2-1 win over Newcastle United. 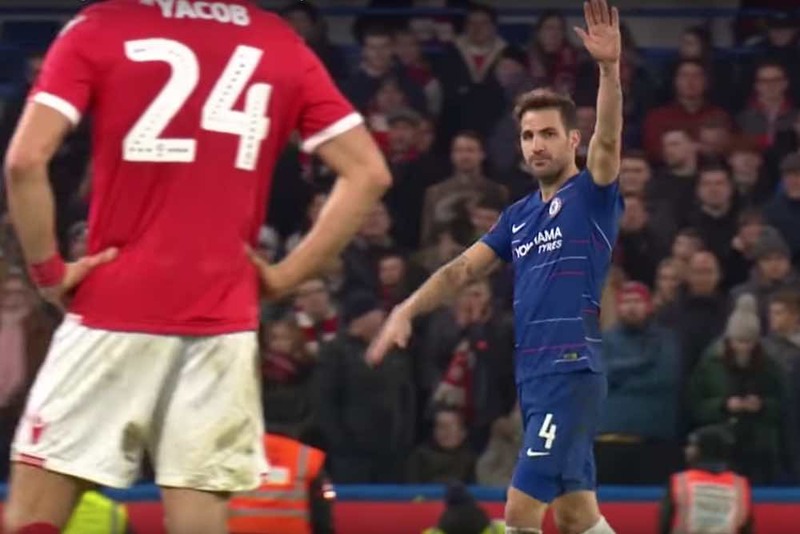 He claimed Fabregas would have played the second half of the victory over the Magpies because Italy international Jorginho had delivered a below-par performance. Without the former Barcelona and Arsenal man at his disposal, the Blues boss felt obliged to stick with Jorginho. Sarri told reporters: “After 20 minutes he [Jorginho] lost a lot of balls and it is unusual, so I think he was in trouble. He added: “In the future maybe [Ethan Ampadu could perform the role] but we have to work. The player who plays in that position usually touches about 120 to 130 balls [a match] and so I think we need a specialist there. “The bench is not really very short. It is left short for only one position at the moment because Hudson-Odoi is improving, Hudson-Odoi in one or two months will be at the same level as the other players. I hope the same for Ampadu. Sarri has also been publicly pushing for the signing of a new striker in recent weeks. With predecessor Antonio Conte having fallen out with the board over a perceived lack of support in the transfer market, it will be interesting to see how this plays out.